CULINARY experts are turning up the heat as they prepare to go head-to-head for a chance to be crowned Queensland's best professional chef. The North Burnett's own Ron Gabriel, head chef at Monto's Grand Hotel, has booked one of 24 spots in the Queensland Chef of the Year competition, which will be held at the Food & Hospitality Expo in Brisbane this August. Gabriel is far from your average pub chef. The 33-year-old grew up in the town of Calumbit in the Philippines province of Bulacan, two hours northwest of Manila. At the age of 20, he travelled to the capital in search of work and found a job as a kitchenhand at the five-star Manila Hotel. Little did he know the move would mark the beginning of a worldwide adventure, igniting a love affair with food. While working in the kitchen of the hotel's luxurious Champagne Room restaurant, he was mentored by long-standing executive chef Konrad Walter, who he followed closely, learning all he could about different cuisines. 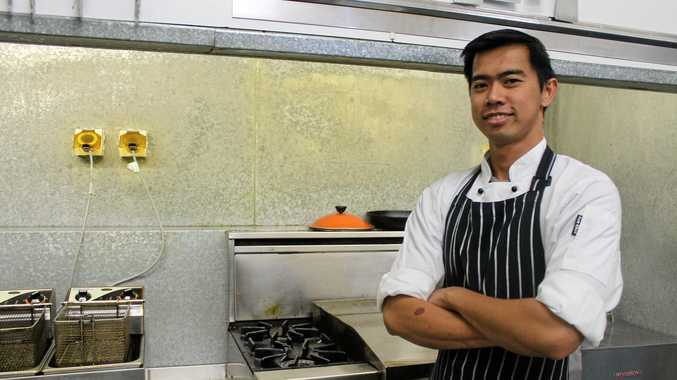 Gabriel plied his trade in Manila for two years before taking a job as a chef on a cruise ship. Seven years and six continents later, it was time to settle down. He thought it was fitting that he head to the seventh and final continent - Australia. In May 2016, after two years working the Melbourne restaurant scene, Gabriel took up the job in the North Burnett and now calls Monto home. "When I came to this country, I always wanted to experience the outback - the laid back Australia I had always heard about," he said. "Melbourne was so chaotic - just like Manila - and I had to get away from the all the noise of a busy city. "I love the peace and tranquillity of Monto. "I had no idea there would be so may Filipinos here." 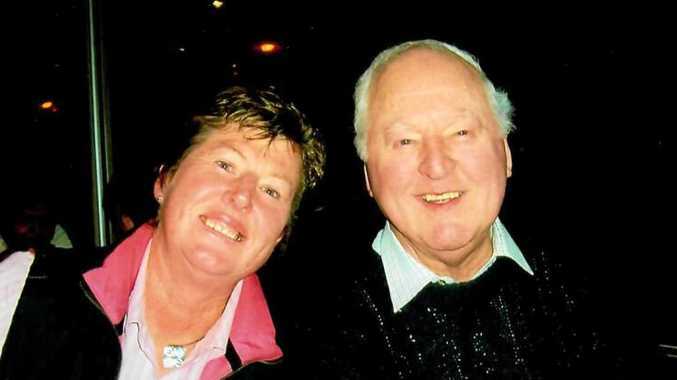 Owner of the Grant Hotel, Tina McGrath, was over the moon when she heard he'd been selected. "A lot of people come to the pub because they hear our meals are good," she said. "Ron is a big asset to us, he works hard and really deserves this opportunity. "Good chefs like him are hard to come by out here. "It's exciting to have a small town chef represented at such a big event." The competition will pit the state's top industry professionals against each other in a MasterChef-style challenge. The 28 contestants will be given a "mystery box" of ingredients from which they will have one hour to prepare a two-course meal to impress the judges. The winner will receive direct entry into the national final in Melbourne, plus a host of prizes including $2500 cash and kitchen goods. After making it through the gruelling three-stage application process Gabriel said he was happy to be a part of it, and hoped the experience would reignite his passion for cooking. "Being selected was an overwhelming feeling, so winning would just be a bonus," he said. "It will motivate me to build on my skills after 13 years. "(Grand Hotel owners) Tine and Doug have been really supportive. "I hope I can make Monto proud of a chef from our small town."